You’ve no doubt heard that many companies are migrating their advertising dollars to digital channels; you may even be considering following suit. But before you completely abandon traditional advertising channels like print magazines for banner ads and social media campaigns, consider the following. 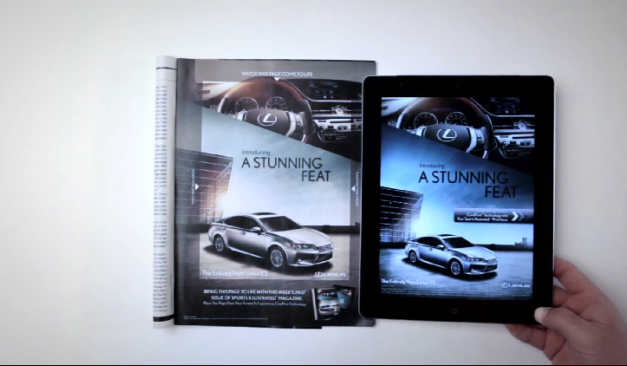 Many brands still use print magazines as a channel to engage consumers in the offline world. In fact, in some industries like B2B manufacturing, as much as 60% of companies use print magazines as part of their marketing mix. What do they know that you don’t? Well, according to a 2013 Custom Content Council study, more and more brands are investing in print magazines because they have discovered magazines are an effective channel for customer education, retention and brand loyalty. It would seem that as many brands uncover the real preferences of their target audience and understand how they like to consume content, the role of a printed magazine has taken a prominent position in their marketing mix. Magazines allow brands to stand apart in an overcrowded digital market and create lasting, memorable engagement. Subscription-based connections with readers mean brand loyalty and repeat messaging capabilities. Your printed content can be repurposed in digital channels to reach a broader audience. Magazines are typically kept around for a long period of time. One single magazine left in a doctor’s office, for instance, can generate repeat exposure for a brand. Also, an ad placed today will reach people months from now, which can’t be said for all media channels. Magazines allow for highly targeted advertising so your budget is used to only reach the people who are interested in your offer. Can you say better ROI? Your first step is to take a look at the available magazines and determine which will be the best fit for reaching your target market. If you’re selling inground pools, it makes little sense to place an ad in a magazine that caters to new parents. Once you’ve identified the magazine that reaches your audience you’ll want to learn everything there is to know about the magazine’s reach. To do this, ask a sales rep about their circulation numbers, distribution areas, pricing and market image. When looking at circulation, be sure to focus on actual direct subscribers because many magazines wind up on the shelves at supermarkets and may never be sold. 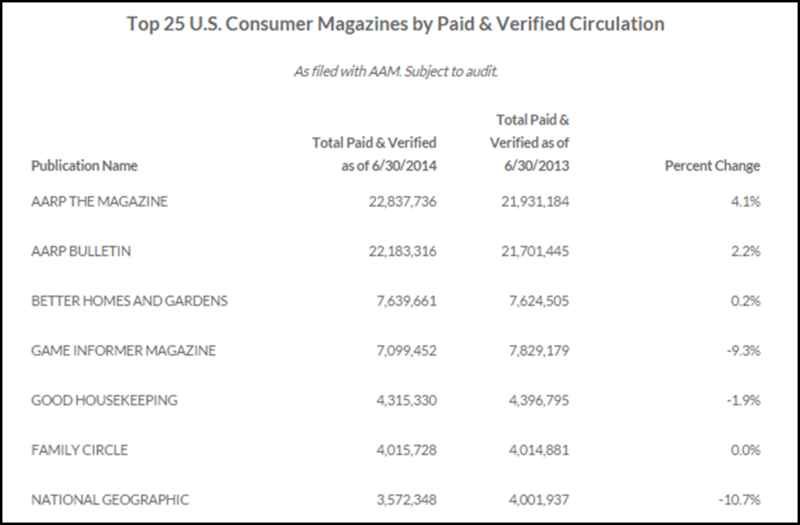 Also, pay attention to the magazine’s market image; while a particular magazine may have a lower circulation, if it is well-respected it may serve your needs better than a publication with bigger numbers but an overall lower image score. Deciding where to place your ad will depend on your budget and content. Bigger budgets will be able to afford those positions that offer the biggest reach, like near the table of contents or adjacent to a relevant article. However, you can often spend less by placing your ad next to a prominent ad and “borrow” all their eye traffic. In theory, print ads should be short and sweet. But that rule isn’t set in stone. For instance, if you’re selling cars, your audience may want to read a full list of benefits and features. Some consumers, if they see ads with lots of text, assume the quality of the product or service offered is superior to an ad where the text is sparse. The moral of the story is, KNOW YOUR AUDIENCE and their perceptions. You have mere seconds to grab the reader’s attention before he or she may turn the page. Create compelling headlines that address the specific needs or desires of your target audience. Don’t just put your company’s name or your product name as a headline – consumers couldn’t care less. They really just want to know what you can do for them. It’s more than likely you won’t solely advertise through one channel, which makes it very important that all your advertising is integrated and all your design elements match the overall brand identity. This includes your print magazine ad which must fit into the larger picture of the story you are telling. When your ads are integrated they work together to lead your prospect through your entire sales cycle. ROI ultimately means making your budget work harder. You can’t place cost-effective ads without first knowing the publication’s schedule. This will help you sync your ad placement to readership and business cycles. Obtaining a media kit will give you rate information as well as the magazine’s reach. Print magazines are a highly effective channel for customer engagement and brand storytelling. They allow you to cater to consumers’ special interests while creating loyalty. If you haven’t experimented with magazine advertising yet, maybe it’s about TIME – which is a magazine and a very good one.